Anthony Mundine is an Australian former professional boxer and rugby league footballer. In boxing he competed from 2000 to 2018, and held the WBA super-middleweight title twice between 2003 and 2008, as well as the IBO middleweight title from 2009 to 2010, and the WBA interim super-welterweight title from 2011 to 2012. 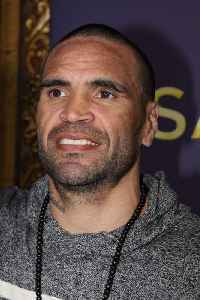 Mundine is well known for his heated rivalries with fellow Australians Danny Green and Daniel Geale.